The Nina Ottossons's behaviour games have been around since 1990 and are of the highest quality available. These great games go a long way towards exercising both a dog's body and mind, and challenge their solving skills. Can go a long way to reducing and preventing behaviour problems. In addition to the dog using its brain, having something else exciting to think about, strengthen your bond, they are great fun to boot, and your dog will love showing off his skills. 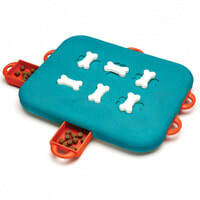 The Nina Ottosson Treat Tumble is perfect for treating and training your dog. Just fill this treat feeding ball with your dog’s favourite treats and/or kibble and give the ball to your dog to watch them play with the puzzle and figure out how to release the treats. This works as a way to perk your dogs interest in puizzles and prepare them for the more challenging games to come. Only give the game when you are around, which will prevent chewing on it, and increase its value as only played with when owner is around. ​View Further at McMac Pet SA, where full details are available as well as suppliers. Looks like real wood, but its unuque composite material has all the benefits of both wood and plastic and is more durable than real wood. This is a Level 1 game, that will challange your dog to uncover treats while helping him to develop new learning techniques. This is great for introducing your dog to new puzzles and games while preparing him for more exciting and challenging games to come. ​​View Further at McMac Pet SA, where full details are available as well as suppliers. 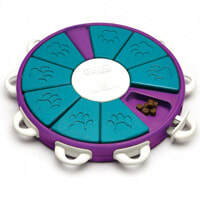 On a scale of Easy to Advanced, Nina Ottosson Level 2 Treat Games are considered, “Intermediate.” These treat feeding dog games combine 1 and 2 step play actions to help your dog retrieve rewards in different ways. The Dog Pyramid is a treat feeding dog toy that works to challenge, treat and train your dog through fun and learning. The Dog Pyramind, can be easily filled with dry kibble and treats through the top entry hole. Just watch as your dog works their way through playful movements and technuques to release food and eat the tasty treats! ​​​View Further at McMac Pet SA, where full details are available as well as suppliers. The Dog Hide n' Slide looks like real wood, but its unique composte materiate has all the benefits of both wood and plastic. More durable than wood, easy to clean and will not splinter or snap like wood. This game has built in play pieces that dont come out when your dog plays with it. 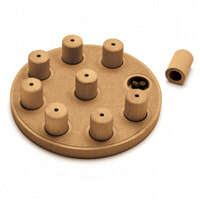 You place treats in the circular blocs and compartments in the base. Swively flippers to cover the tracks. Game is put on floor and your dog gets to seek treats - dogs are much smarter than we think. If your dog is battling initially, the swivel flippers move off the track to make this game easier. View Further at McMac Pet SA, where full details are available as well as suppliers. Level 3 treat games are considered to be “Advanced” games. Level 3 dog games challenge your do by requiring a series of steps to each treat reward hidden within the puzzle. Most of the play actions required to release the treats are 2-steps and must be made in a sequence in order to release the tasty rewards. This level 3 dog game is especially recommended for more challenging play, but can be used with dogs of all play levels. View Further at McMac Pet SA, where full details are available as well as suppliers. Get ready to hide, seek and treat with this Nina Ottosson dog puzzle. The Dog Twister challenges and occupies your dog while they work to unlock tasty treats hidden inside each compartment. Fun for all dogs regardless of age, size and breed, the Dog Twister is sure to be your new favourite dog game! View Further at McMac Pet SA, where full details are available as well as suppliers. 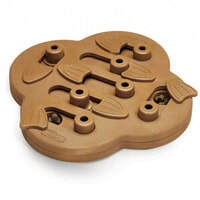 OUTWARD HOUND PRODUCTS - LET THE DOG GAMES BEGIN - These puzzles and behaviour games, exercise the dog both physically and stimulate the dogs thinking skills. They provide hours of fun and stimulation, and can go a long way to preventing and changing behaviour concerns. Bring out the genius in your dog with our interactive, treat seeking puzzles and exercise toys - featured below - Game on! ​3 CHAMBERS OF JACKPOT TREAT-WINNING FUN! This treat-dispensing slot machine-style game features a kibble-releasing paw press and 3 chambers of jackpot treat-winning fun! When pups push down the paw press treat releaser, Lucky Dog Slots™ makes it rain goodies! Fill up with your favourite treats or kibbles, and bring “Dog Vegas” fun home to your furry friend. BPA, PVC & phthalate free. View Further at McMac Pet SA, where full details are available as well as suppliers. ​.Chase up some fun with the Outward Hound Treat Chaser! 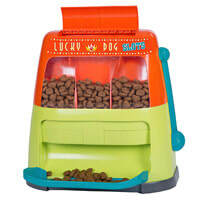 This interactive, treat-dispensing game features 2 treat chutes and rollin’ and slidin’ action that keeps dogs engaged. When your pup paws & nuzzles the Treat Chaser across the floor, goodies are naturally released through the 2 treat chutes! Fill up with your favourite treats or kibbles, and the chase is on! Safe and strudy plastic material which is BPA, PVC, and Phthalate free. View Further at McMac Pet SA, where full details are available as well as suppliers. Once your pup tries this treat track there will be no going back! Featuring a treat-hiding ball, super-fast track & treat-ball release, the Treat Twister™ is sure to keep your dog engaged. Pups paw and nuzzle at the treat-hiding ball to push it through the release. 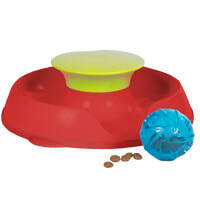 Once removed, the treat ball naturally dispenses treats throughout play. Just fill the Treat Twister™ ball with your favourite treats or kibbles, place it in the treat track & watch your furry friend twist up some fun! Made with durable food-safe plastic, BPA, PVC, and Phthalate free. View Further at McMac Pet SA, where full details are available as well as suppliers. The Triple Treater Totter™ isn't just a serious tongue twister. This interactive, treat-dispensing game features 3 treat basins, 1 treat-loading compartment & engaging teeter-totter action that your pup is gonna love! 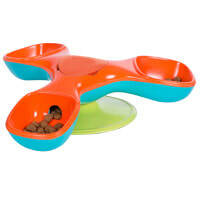 When dogs paw and nuzzle at the Treater Totter™, goodies are released into the 3 treat basins. Fill up with your favourite treats or kibbles, and watch your furry friend have at it! BPA, PVC, and Phthalate free. View Further at McMac Pet SA, where full details are available as well as suppliers. View Further at McMac Pet SA, where full details are available as well as suppliers. SUPER STRONG. SUPER SAFE. SUPER FUN!Bionic Rubber products are made to play as hard as your dog does! Our super-strong toys are made with a revolutionary material that can withstand the play of even the most aggressive chewers. Stuff your Bionic toy with treats and you’ll see why dogs can’t stop playing with these super-fun toys. Chew it. Stuff it. Love it! Designed for dogs that love to chew, Petstages® ORKA chew toys are made of a durable, non-toxic, synthetic rubber, combining fun and function in one toy. By providing a dog with an appropriate chew object, owners can help reduce a dog’s boredom and destructive behavior. 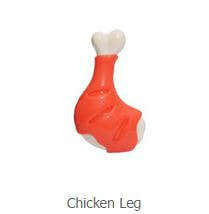 * Also available in the Mini Toy range for the small breed dog. 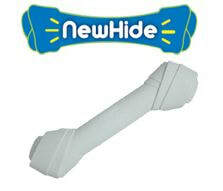 NewHide is a dog chew alternative to replace your rawhide. It has none of the uncertain swelling properties of rawhide and has all of the taste of rawhide that dogs love, keeping them busy and us happy. As the New Hide dog chew is lead and phthalate free, not only is it the safer solution to rawhide but it still tastes great! ​Meaty tough toys combine rubber and nylon, which will satisfy a dogs natural instinct to gnaw and make these the perfect toy for powerful chewers. Long lasting delicious flavours make them irresistible to dogs, while helping to keep teeth clean and prevent tartar build up. Dogwood by Petstages is a dog chew toy that contains the natural wood flavour and texture dogs love without the side effects of splintering that real wood brings. A natural bestseller, Dogwood dog chew toys occupy as much as they satisfy and are great for busy chewers and satisfy anxious chewing habits. The best part is they are also lead and phthalate free making chew time for your dog worry-free. Dogwood Mesquite is a twist on a popular pup favourite, Dogwood, and is packed with sweet mesquite flavour. Not only does Dogwood Mesquite satisfy slobbery mouths, this chew toy is more durable than any stick you find outside, and is infused with BBQ flavour that occupies and makes chew time for your dog even better! 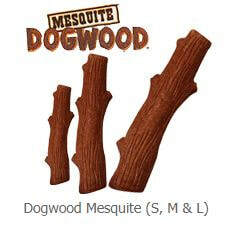 Although Dogwood Mesquite is made with irresistible barbeque flavouring, all of the flavour dogs crave will stay on the bone and off your furniture and floors making for a cleaner chew time. 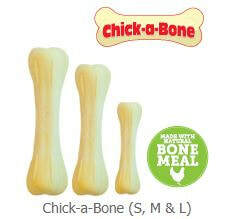 This CHICKEN LICKIN’ Chew Toy, combines natural bone meal and real chicken flavour to create a chewing combination that is hard for dogs to resist. Chick-a-Bonewon’t split or splinter like natural bones. This durable dog chew creates long lasting chewing fun, and is lead & phthalate free for less worrying and more chomping. ​Seeing is believing and Beyond Bone is obviously better. Chewy patches on this playtime chew add interest and encourage your dog to chomp and play away. We know dogs love the taste and smell of real bones, that’s why we combined a bone meal blend into every Petstages Beyond Bone. This dog chew alternative to real bones won’t splinter during your dog’s chew time and is safer than the fragile and flakey bones. 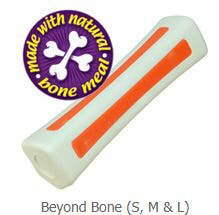 ​Crunchcore™ is a Durable Crunching Bone that won't collapse and has a crunchy sound dogs love. With three durable layers, these toys won't lose shape or collapse. ll the flavour with virtually no bully stick stink! Petstages Bully Chewdog chew toy is packed with real beefy flavour and is made to keep your dog satisfied without all the smell that really bully sticks bring. 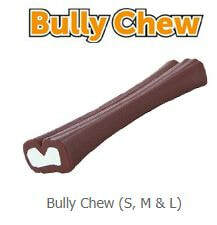 Unlike traditional bully sticks, the Petstages Bully Chew is made to last! Filled with bully stick flavour and layers of chewing fun, your dog can chew longer and harder with this new and improved dog chew toy. We took out all the dangerous things you don’t want your dog chewing on like lead and phthalates so you and your dog can enjoy a better bully stick. The Petstages Bacon Dental Bone keeps chewers busy and satisfied with its mouth-watering bacon flavour that dogs can’t resist! The multiple layers of flavour keep your dog occupied and work to extend your dog’s chew time. 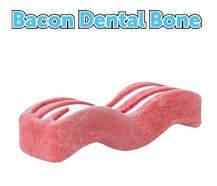 Made for chewers and chompers alike, the Bacon Dental Bone not only tastes great keeping your dog chewing for longer but also helps clean their teeth. Lead & phthalate free. 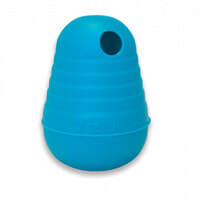 ​Sneaky Squeaky by Petstages lets you control the squeak! This works great for quiet and loud play times and won’t interrupt nap times, or quiet time around the house or home office. Whether you’re looking for squeaky interactive play or a quiet game of fetch, simply cover the air hole for squeaky fun and uncover the air hole for quiet play. Dogs love to play and we love to play with them. That’s why Petstages is building better tennis balls. The DuraCore Ball is made with a solid rubber core making it stronger and more durable than traditional tennis balls. 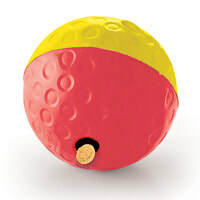 DuraCore Balls come in a set of 3 so you and your dog can play 3 times as long! 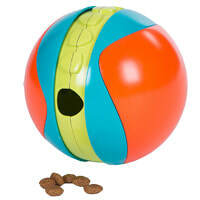 ​Unlike traditional tennis balls, the Super Bounce Ball by Petstages bounces 2X as high for 2X the fun! Our dogs don’t just like to play, they like to play with us! That’s why Petstages is building better tennis balls like the Super Bounce Ball giving you 2X the bounce and all of the fun! Durable construction and a Super Bounce design makes this tennis ball by Petstages perfect for games of fetch at the park and hours of fun in the yard during play and exercise time with your dog. Tired of toys that can't take the heat? Expect long-lasting fun with Outward Hound Firehose Fetch toys! 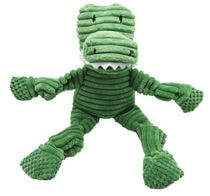 Made with double-stitched seams and real firehose material, these toys are built to stand up to tough chewers. Perfect for fetch, tug or toss games, Firehose Fetch toys will keep your pup having fun and ensure long-lasting five alarm fun! .The Doog Stick Family toys are SUPER TOUGH, SUPER SAFE, SUPER FUN!Safer for your dog than a real stick and a whole lot more fun. 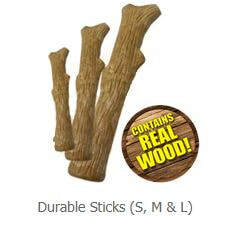 "The Sticks" are a loveable family of dog fetch toys, who are not only dog friendly, but eco-friendly too! 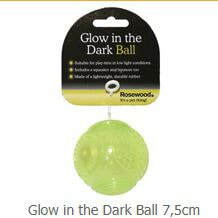 Glow in the dark eyes - Built in rope and handy grip - Floats in water Made from recycled rubber Splinter free. 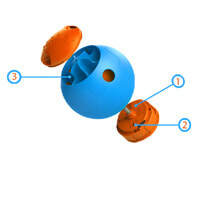 Watch the Outward Hound Squeakin Whistler Ball soar every time it’s thrown into the air! As it glides, you’ll even notice a sweet whistling sound that makes it easy for your dog to follow. 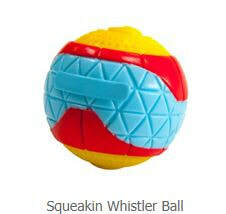 Give the Squeakin Whistler Ball a squeeze and your dog will be surprised by a squeak! They’ll love squeaking, chewing and fetching with this new outdoor fetch toy! Made with an unpredictable bouncing pattern and durable tyre texture, the Tyre Ball combines the toughness of tyres with the bounce of tennis balls for a new way for your dog to play fetch and chew. MINI FOOBLER - SELF-RELOADING SMART TOY. The Mini Foobler® is a smaller version of the Foobler® and is perfect for both cats and mini/small dog breeds. It is designed specifically to be lighter in weight and size so your four legged friend can be entertained all day when you are not home - perfect for dogs with separation anxiety and/or over dependance, or those dogs that get bored easily, and provides mental stimulation. Squeakimals™ are music to dogs’ ears. This cute character is packed with noisemakers to keep pups engaged! Squeakers & peepers, plus engaging crinkle make playtime much more fun and exciting. The picture shown here is the Lip Monster 5Sqk in Small. The Rosewood, Multi-Activity Toys are made from soft plush materials with a squeak switch, giving the pet owner the choice of either squeak or mute mode by simply turning its tail. They also have a crinkly tail for added texture and are ideal for throw and fetch games. 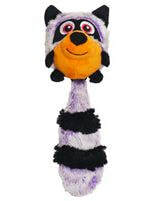 The sample pictured here is the Multi-Activity Squeak Switch Racoon which is 28 cm in length.